It’s easy for me to rhapsodize about the way yoga has held me in my relationship with my body. Like so many of us from so many backgrounds, my early life taught me to experience my body as a source of shame, vulnerability, and discomfort. When I began practicing yoga in my early adulthood as part of eating disorder recovery, it gave me a new sense of my body as a source of vitality, joy, and strength. I especially loved that it bypassed my struggle to fix my “body image issues.” When I move and breathe, I feel viscerally that, in fact, my body isn’t an image—it’s me, an ever-changing reality to be experienced, not gazed at. Yoga led me to spend the last twenty years trying to understand how we heal our relationships with our bodies. I became a psychotherapist. I sit with people day in and day out, supporting healing, self-discovery, and self-compassion. As a white, thin, Jewish woman and mother, my understanding is informed by my own privilege, perspective, and experiences of how I felt and feel I was supposed to look to fit in to belong and feel safe in today’s American culture. I invite my clients, too, to investigate how their own cultural experiences and experiences of oppression influence them. We talk a lot about how society influences body image, and inevitably I ask, how can *you* resist negative cultural messages? But here is what I have learned over time—it is a rare person indeed who can resist all the cultural messages about bodies and all that lies within our beauty/health standards—sexism, racism, ableism, classism, concepts of privilege and power. Even some of the bravest, most resilient, most culture-resisting people I know share in private that their body image issues have not disappeared. I am one of those people. To be quite vulnerable, despite the fact that I have been immersed in the recovery, yoga, and body positivity worlds for all these years, I often notice societal messages zooming through my mind. Because of this, I have come to believe that expecting perfect body image from ourselves is a setup, and one built on a major cultural trap: the idea that healing is an individual endeavor and an individual responsibility. We are taught: If you are poor, it’s because *you* haven’t worked hard enough. If you have health problems, the cause is *your* lifestyle. If you have an eating disorder or body issues, well, that’s because *you* haven’t resisted the cultural messages enough. Which is just what you need—something else wrong with you that you should spend some money to fix. Here’s where I come back to yoga: the ultimate aim of yoga is for liberation—individual and collective. Yet, in contemporary US culture, yoga can become zeroed in on individual healing. I am certainly guilty of using it this way—I wrote a whole book about yoga for healing. This approach has powerful gifts to offer, but I worry that when it is the only approach taken, it lets the culture off the hook. Most health problems owe far more to societal factors than individual. How are we to heal as individuals in a culture that continues to cause harm? How are we to heal if we are taught that, on basis of size, race, gender, age, or ability, our bodies are only meant to be sources of shame, vulnerability and discomfort? How do we learn to trust ourselves when our thoughts—based on very real messages we have absorbed in an undistorted manner—are labeled as distorted? I’m not going to stop supporting people in their individual healing because I know that work is crucial, too. The individual counts—our stories and voices matter. Eating disorders are not simply reactions to a toxic culture. People with eating disorders haven’t just failed worse than everyone else at resisting cultural messages. Eating disorders are illnesses with clear roots in genetics and life histories. Recovery must involve understanding and finding compassion for your unique temperament and biology in order to learn how to be a steadfast self-caretaker. But for that inner work to flourish, we need to collectively change systems, not just people. Changing society will not cure eating disorders—but it sure would remove many of the obstacles that make recovery and healing so very hard. Change systems that perpetuate fatphobia and weight stigma: this means media-makers creating messaging that counters the boogie monster “obesity epidemic.” Doctors can educate medical schools and organizations about Health at Every SizeÒ. Eating disorder professionals like me can change the norms in our professional communities—to stop reassuring clients that they are not fat and won’t get fat, and replace that with the message: being fat is just fine, and let’s help you survive in a world that works hard to teach you otherwise. Expose the fact that most of our understanding of eating disorders and body image is based on research done by white, thin, privileged people about white, thin privileged people. Much of the research has been done by straight men, when the issue disproportionally affects women and LBGTQ people. Let’s fight for better research. Change systems based on fatphobia, racism, and classism that affect who has access to care. This means changing a system that only insures some of us, and underinsures even the most privileged. Vote! In professional communities, we can ask why our public health campaigns, diagnostic categories, and treatment centers send a message that only people with thin, white, young bodies are “sick enough” to merit treatment. In yoga communities, we can challenge the use of yoga to hoard thin-privilege and health-privilege, and teach yoga with a purpose—to fortify ourselves for real liberation work, for creating changes much bigger than our own bodies. This question was posed by a thin, white, woman-identified yoga teacher in a weekend immersion focused primarily on physical accessibility and adaptive teaching. The lead trainer happened to be a fat-identified woman. Aside from her, I was the only fat person in the room. The question was very much directed at the two of us. We both knew it. We both stammered over our words trying to answer her question. In the particular instance at the weekend immersion, I had the good fortune of being able to connect with the trainer, a teacher and friend of mine, over dinner after the training. It was a nice and necessary experience to be able to process our feelings about being the only fat people in that particular space. We started talking about this woman’s question and the difficulty we had in answering it. As we struggled to find words that equally honored our truths and our feelings, gave practical advice, and avoided alienating her or putting her on the defensive (a really tall order), I grew exasperated. “Maybe you could just try loving them,” I said. My friend sighed and emphatically agreed. My exasperated statement is at the crux of why these questions are so hard to answer. They’re hard to answer, because they shouldn’t need to be asked in the first place. If we lived in a world where all bodies were assigned equal value regardless of factors like size or perceived health, if all yoga teachers and practitioners were actually embodying the universal love towards all beings that they like to preach, if “inclusion,” “accessibility,” and “body-positivity” were more than marketing buzzwords to the mainstream wellness businesses that co-opt and capitalize on them, if fat wasn’t demonized in our industry and our society to the point that stigma and aversion are present in every single conversation we have about that one particular type of body tissue, then speaking “lovingly” about someone’s body, no matter their size, would not be something we struggled so deeply with. If we loved fat people as a norm, the way we love thin people, then we would always be speaking to and about them from that wellspring of love. I struggle to want to extend credit to thin people who ask me how to treat fat people lovingly and supportively. On one hand, I appreciate that there are teachers asking these questions when so many more simply won’t. On the other hand, it feels a little bit like when father’s say they’re “babysitting” their kids–no sir, that’s just called parenting. Treating fat people well shouldn’t be considered extraordinary–it’s your responsibility. I could spend this post giving you some suggested language or best practices. I could talk to you about the history of fat phobia or the fat liberation, civil rights, and accessibility movements that laid the groundwork for modern-day body positive activism. I could talk about the reclamation of the word “fat,” tell you how finally embracing that word as my own has freed me in ways I never knew were possible. But I won’t, at least not today. I hope you’ll seek out resources (including the blog posts yet to come in this series) that can provide all of those things, but in this moment, they feel beyond the point: you can’t speak lovingly to someone without loving them first. 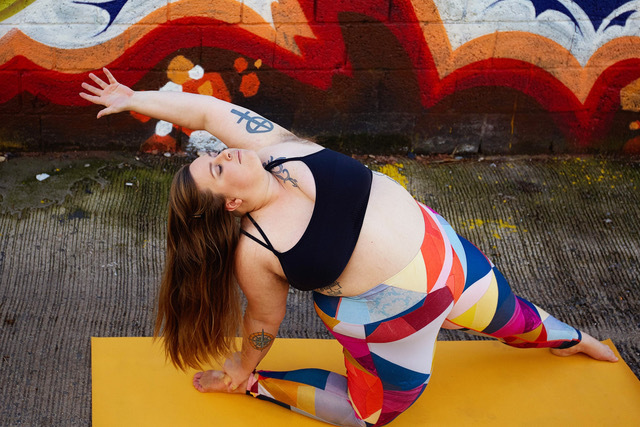 So, to all of the yoga practitioners and teachers out there who are asking these sorts of questions, I have a question for you: What is it going to take for you to start actively loving fat people and their bodies? Is it a matter of re-educating yourself about the relationship between weight and health? Of seeing diverse body sizes represented in a positive light in the media? Seeing more fat-identified people in leadership roles, heading studios and teaching prime-time yoga classes? Does it potentially mean confronting some harsh realities about the ways you’ve perpetuated harm towards fat people in the past? Or the ways you’ve talked about and treated your own glorious body? Are you doing that internal work? How about the external work? Are you clearing the way for fat leadership? Are you calling upon your media sources to diversify representation? Are you supporting fat yoga teachers and making sure yoga spaces are actually accessible? These are examples of active love. As practitioners of yoga, we’re called to engage in active love, active service, and unwavering ahimsa, non-violence, as a practice, not just a thought experiment. We’re also asked practice discernment as part of our greater engagement with satya, truth-telling. We’re called to act mindfully, and to remain ever open to self-study and reflection. If we’re honestly living these values, then we’re living in love and service to all people. Fat people are not excluded. If you want to speak lovingly about fat people, practice actively loving us. Build genuine relationships with us and listen when we open up about the impact of fat phobia on our lives. Question the messaging that continues to reinforce thin supremacy the way you would question messages that sought to marginalize other people you love. Do the work. I promise, the loving words will come to you. Photo credit: Cinthya Zuniga, cinthyazuniga.com, @zunigaphotography on Instagram. 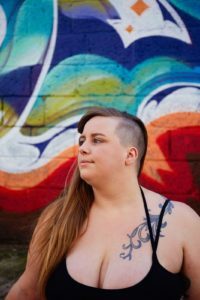 Melanie Williams is an East-Coast-based, fat, queer, non-binary yoga teacher and self-love advocate, called to create profoundly accessible spaces for self-inquiry and the inward journey by integrating mindfulness and adaptive movement practices with the spirit of social justice. They believe that the goal of yoga, as of life, is collective liberation and in turn challenge contemporary yogis to dismantle the systems and beliefs that hold us all back. In addition to teaching group and private yoga classes, Melanie offers workshops that explore queer identity and body image, leads adaptive yoga teacher trainings, helps coordinate trainings internationally for Accessible Yoga, champions diversity and inclusion in the yoga industry as a member of the Yoga & Body Image Coalition leadership team, and serves leading industry groups as an expert advisor on diversity and accessibility. I first heard this statement while in treatment for an eating disorder. I remember sitting in group therapy feeling outright annoyed upon hearing this statement. Who was this put-together looking therapist (also thin and white like me) attempting to convince me that my absolute intolerance for every square inch of my body wasn’t based on fact? Was she for real? Who did she think she was, invalidating the pathetic reflection I glimpsed in every single mirror and storefront window day in and day out? I amassed decades of evidence telling me that my body was wrong, disgusting, and took up too much space—from the size of my jeans to the teeny models on the magazine covers to my own unhelpful inner narrative. And so did the women with whom I was in treatment. Most of us were white and young-ish with varying body sizes, genders, creeds, and sexual orientations. We believed our body-loathing to be 100% legit. Not only did we “see” with our own brain-starved eyes our “lumpy,” “squishy,” and “overflowing” flesh, but the supreme keeper of fact, the almighty scale, would surely prove us right. The girls and I could rationalize for hours why the number, right down to the decimal, sufficiently proved that our so-called body image was indeed a fact. Years and a whole lot of healing later, I find myself compassionately sharing that same sentiment—body image is not a fact—with my yoga therapy clients. Do they believe me? Maybe. Probably not. At least not the first 15 times I say it. After all, we aren’t ready to hear something until we are ready to hear it (like when I was in treatment). I also deeply know how invalidating those word can feel when one’s body narrative absolutely feels like a fact—an inescapable plight of guilt, shame, and comparison and the thoughts and behaviors that express these painful states. Research on body image illuminates the extent to which body image influences self-esteem and self-worth. According to research presented by Dr. Margo Maine in 2017 at the National Eating Disorder Information Centre’s Body Image and Self-Esteem Conference, 15% of girls reportedly skip school, 13% will not speak out to give an opinion, 5% will not go to a job interview, and 3% will call out of work when they feel bad about their bodies. Similarly, 17% of women reportedly will not show up for a job interview, and 8% will not go to work. The journal Body Image reported a high prevalence of body dissatisfaction among adults in the United States. The study, which included 12,176 US men and women who completed an online survey, found that only about a quarter of the participants were satisfied with their appearance. The 2017 Dove Global Girls Beauty and Confidence Report, which interviewed 5,165 girls aged 10 to 17 across 14 countries, reported that higher levels of body esteem have a lasting impact on a girls’ confidence, resilience, and life satisfaction. Conversely, poor body image was associated with not participating in social activities due to feeling self-conscious about their appearance. The report found that girls generally would prefer that the media include more diverse body sizes and are dissatisfied with the emphasis on beauty as a means of happiness. What exactly is body image, and why is compassion vital for creating personal and social transformation? According to Judith Lightstone, author of the article, “Improving Body Image,” body image involves our perception, imagination, emotions, and physical sensations of and about our bodies. Body image is sensitive to mood, environment, and physical experience. It is learned in the family, among peers, and through social and cultural expectations. Perception is fluid; fact is a hard stop. When we finally come around to giving ourselves permission to embrace (or at least consider) that body image is a perception rather than fact, portals to healing open in unexpected and powerful ways as new body narratives have space to emerge. Unlike fact, perceptions can be challenged, shifted, and reoriented. We can relieve ourselves from the oppression of self-hate and rewrite body narratives grounded in possibility. Although our body narratives are strongly influenced by social messages, cultural expectations, and familial beliefs, they still belong to us, which means we have the capacity to challenge, shift, and reorient our perceptions about our bodies. We have freedom to relate to our bodies in new ways and explore their power and grace. I wholeheartedly own that I write this article from a privileged perspective. Who am I to speak of oppression? I am uncomfortably and acutely aware that my body and skin color afford me social acceptance. Embracing body image as a perception I am free to revise is also a privilege. From my education (another privilege), conversations with others, and seeking out the stories of those whose lives look very different than mine, I respect the fact that power structures reinforce which bodies “belong” and which do not. Power structures that are sexist, racist, able-ist, size-ist, classist, heteronormative, and ageist are burdensome barriers, exacerbating the efforts of many to perceive their bodies in affirming or even more neutral ways. Although these barriers are mighty, compassion is a force that can move the human spirit in surprising ways and represents the possibility for shifts in perceptions about all bodies. If you wish for a kinder relationship with your own body and the same for others and their bodies, my call to action, then, is twofold: First, compassionate listening so that everyone feels heard, seen, and valued. Fervently listen with compassion to the stories of those whose life circumstances are different than yours. Be curious, ask questions, invite others to speak about the barriers in their lives. Practice dropping your biases and open your heart to the greatest capacity for empathy and connection. Listen without giving advice or sharing your own story. Allow the other person to truly be seen and heard, as it’s in these moments—when we take up the space we rightly deserve—that the subtle and clear energy of healing shows up. Listening with compassion allows everyone to feel their life experiences are included, validated, and valued. And as we learn to listen without judgement to others, we show ourselves where there is room for compassionate listening within ourselves. Practice bringing this open, compassionate energy to your social media use, too. Diversify your social media newsfeeds so that you are learning from and about other groups’ experiences, the challenges they face, and understand what they value. In the spirit of compassionate listening and social empowerment, you might even share these posts on your own newsfeeds, amplifying those voices engaged in conversations about body image that our world needs to hear. Additionally, be mindful of the words included in your own posts to avoid perpetuating insensitive cultural and social messages about bodies. Secondly, hold compassion for the intimate beauty of shared experience. Despite our varying life circumstances, we share a common thread, that at one time or another we were locked into the painful belief that our body image is a fact, that we can relate the weight of guilt, shame, and comparison, that we know the depths of despair that accompanies body loathing. This is a deeply powerful inner knowing, the kind that doesn’t even require we know each other’s names or other personal information. By nature of this shared common thread, we speak the same language. Connecting through such palpable understanding and empathy is a defining moment of human affinity from which personal and social transformation stems. For example, it’s because of this shared understanding with my clients that I can authentically embody compassion through my eyes, tone, body language, and words, allowing them a safe space to speak their truth. From this compassionate space flows the safety they need to move toward new, empowering perspectives and self-care practices. I invite you to reflect on where there is room for compassion toward your own body and other’s bodies, too. What “facts” that inform your own body narratives are holding you back from offering this compassion to yourself and others? Take time to be with these questions, and no matter the answers that come, remember compassion. This is our greatest source of power as we seek an affirming relationship with our body and find healing in our shared experiences with others. 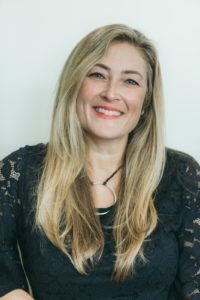 Margo Maine, “Invisible Women: Eating Disorders and the Pressure to Be Perfect at Midlife and Beyond: A Relational Culture Approach,” National Eating Disorder Information Centre (NEDIC), http://nedic.ca/node/976. 7. “Girls on Beauty: New Dove Research Finds Low Beauty Confidence Driving 8 in 10 Girls to Opt Out of Future Opportunities,” PRNewswire, October 5, 2017, https://www .prnewswire.com/news-releases/girls-on-beauty-new-dove-research-finds-low-beautyconfidence-driving-8-in-10-girls-to-opt-out-of-future-opportunities-649549253.html. 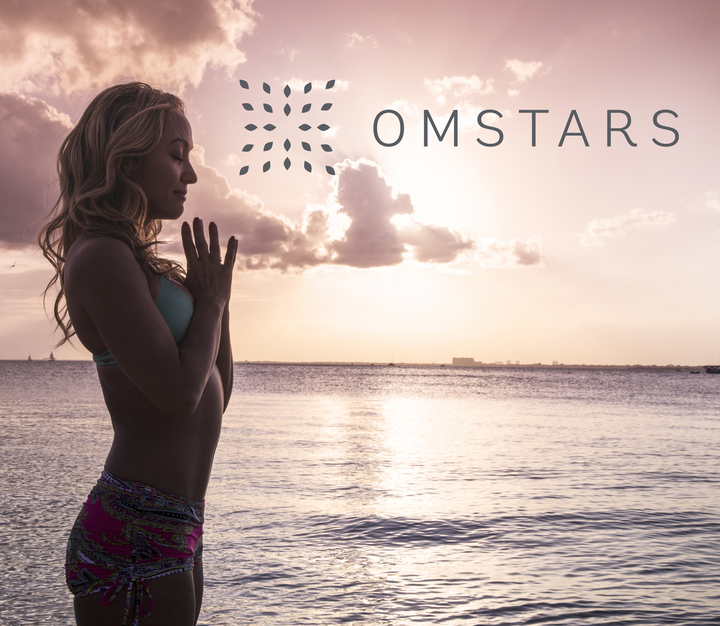 NOTE: This post is part of a collaborative media series organized and curated by Omstars and the Yoga & Body Image Coalition intended as a deep dive into yoga & body image. 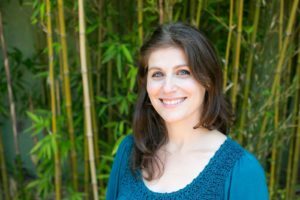 Jennifer Kreatsoulas, PhD, E-RYT 500, C-IAYT, is a certified yoga therapist specializing in eating disorders and body image. She is an inspirational speaker and author of Body Mindful Yoga: Create a Powerful and Affirming Relationship With Your Body. Jennifer provides yoga therapy via online and in person at YogaLife Institute in Wayne, PA, and leads yoga therapy groups at Monte Nido Eating Disorder Center of Philadelphia. 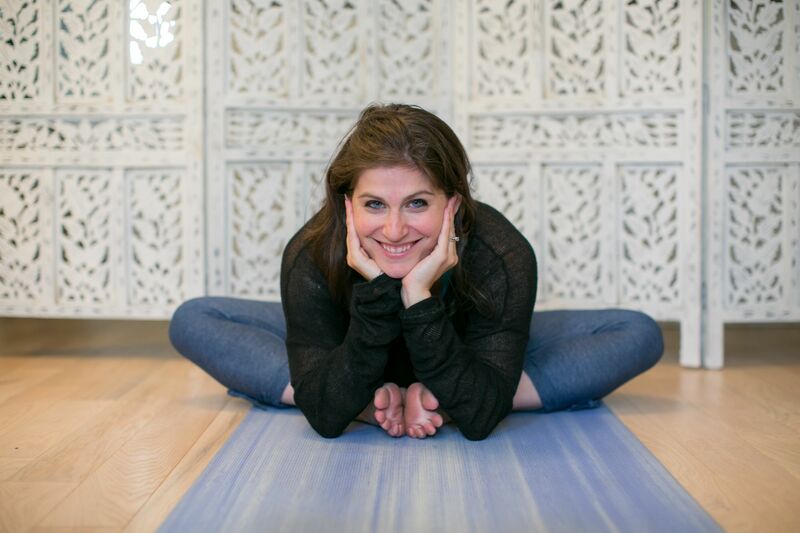 She teaches workshops, retreats, and specialized trainings for clinicians, professionals, and yoga teachers. She also mentors professionals who wish to integrate yoga into their work with eating disorder clients. Jennifer is a partner with the Yoga & Body Image Coalition and writes for Yoga International and Yoga Journal and other influential blogs. She has appeared on Fox29 news and WHYY’s “The Pulse,” and has been featured in the Huffington Post, Real Woman Magazine, Medill Reports Chicago, Philly.com, The Yoga International Podcast, and ED Matters Podcast. 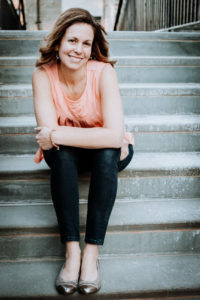 Connect with Jennifer: www.Yoga4EatingDisorders.com. It is in the spirit of building sacred community through conscious listening, compassion and love that this blog series was created. Our intention is to educate, demystify misconceptions, smash stereotypes and offer new perspectives on body image as it intersects with our race and ethnicity, our gender identity and sexual orientation, our socioeconomic class, age, size and dis/ability. 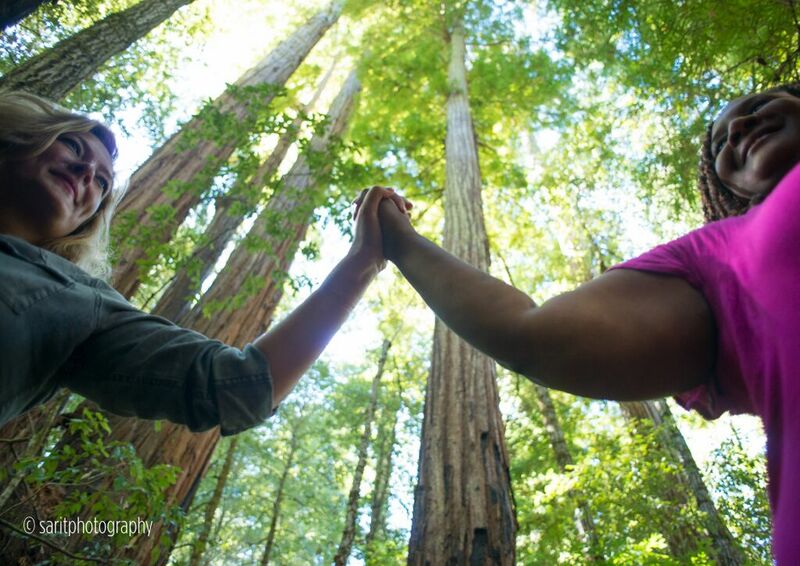 In short, our intention is to raise consciousness and create bridges in understanding. It is our hope that through raised consciousness, more and more of us will be moved into mindful action. Because social change requires more than awareness… it requires awareness plus action. And raising consciousness and living consciously are at the heart of mindfulness practices. This where the real work begins for us. Off the mat. Off the meditation cushion. Each writer in this series weaves personal narrative with years of experience, research and professional expertise. The words may move you to tears, bring you a sigh of relief or comfort… or they may make you angry. Or maybe the words simply make you uncomfortable or challenge a long-held belief. Whatever arises, it’s a gift in the form of an opportunity. It’s an opportunity to practice, listen, learn and grow. It may also be an opportunity to detect and identify internalized and unexamined prejudice or bias in our heart. This space is an opportunity to do the work as a collective. Because we must also work mindfully in community to elevate the collective vibration of society. 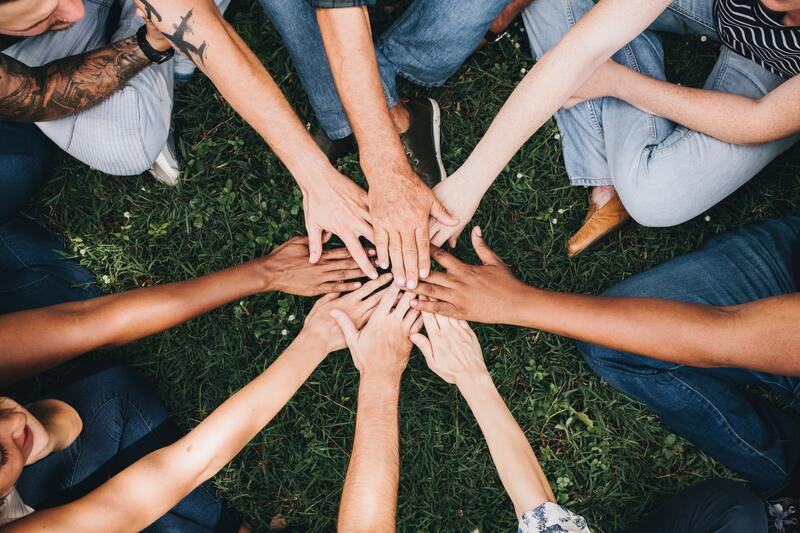 Here are a few ways to practice this intention of identifying (and obliterating) prejudice and bias as well as working as allies and comrades in solidarity and love. – Examine your own privilege. This may be challenging, if not painful, and may induce feelings of shame or guilt but this is a necessary step. Meditate on how YOU benefit from the existing power structures that are sexist, racist, able-ist, size-ist, classist, heteronormative and ageist. Be an ally by opening your heart and listening. Breathe and pause when you’re moved out of your comfort zone. Reflect before you challenge the information presented or comment on it publicly. Do the work. Allow your increased awareness to move you into action, however that may play out for you. Ask yourself how you can contribute to an accessible, welcoming space for all without tokenizing anyone. Recognize the humanity in everyone. Identify how your experience connects you to others and how it differs. Practice on and off the mat. Cultivate mindfulness on and off the cushion. Allow your practice to grow your heart, make you vulnerable and willing to work actively as a member of a wider community. We all benefit from this process. Mindfulness, specifically the practice of yoga, has the potential to create both personal and social transformation. The practice of yoga has the potential to elevate us to our highest good and create equity for all. I invite you to read what is offered in this series in that spirit of connection and collective liberation. Seize the opportunity to expand your capacity for compassion, empathy and love. NOTE: This post is part of a collaborative media series organized and curated by Omstars and the Yoga & Body Image Coalition intended as a deep dive into yoga & body image. Be sure to read the first post in the series here.